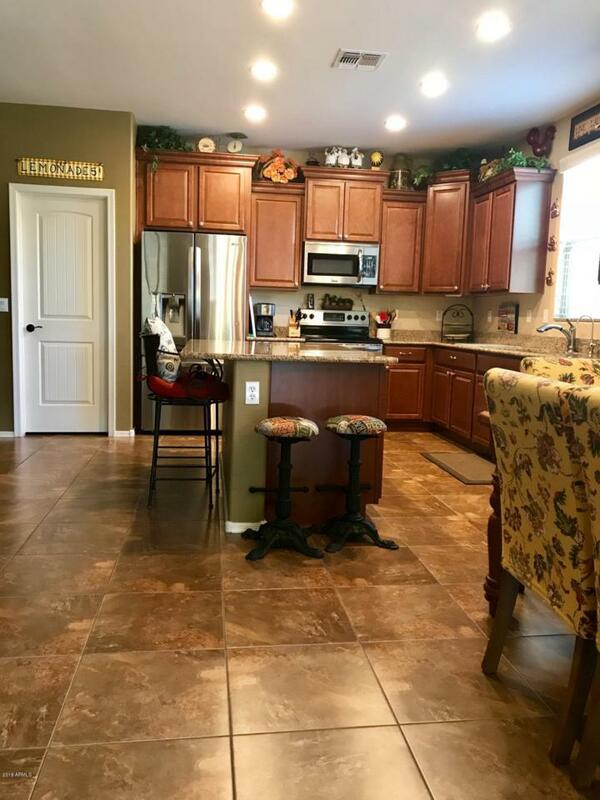 WOW, home with rare attached, covered RV garage, plus full sized two car garage, plus more room (approx 1200 sq ft of garage); at end of premium cul-de-sac lot with no neighbors in front or on east side of home as home borders a common area.Turn key home ready for you to move in. 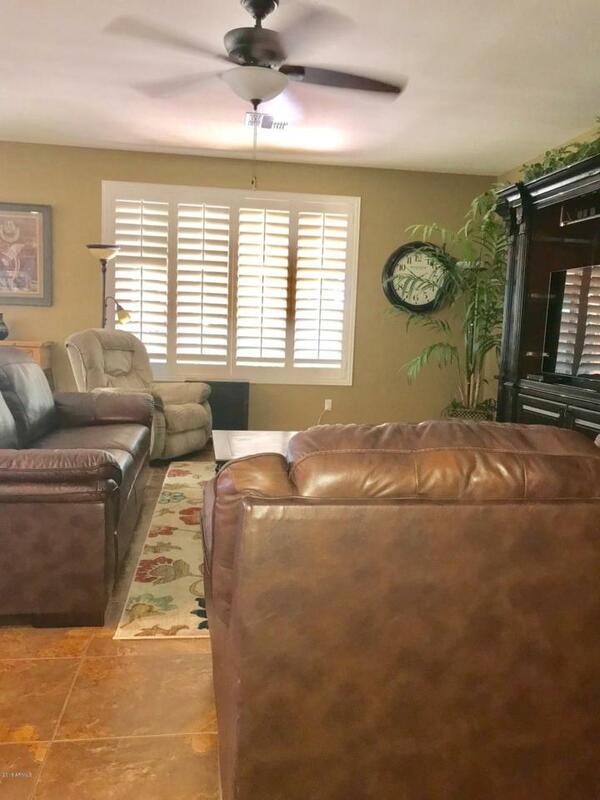 Plantation shutters throughout, granite counters, two tone and custom paint, all closets are walk in closets in bedrooms, master closet is HUGE (12'4''x 9'4''). 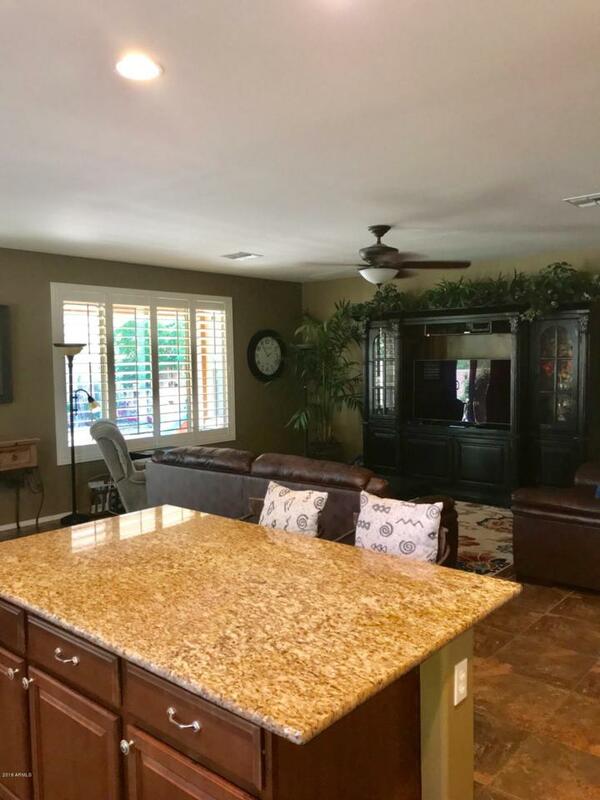 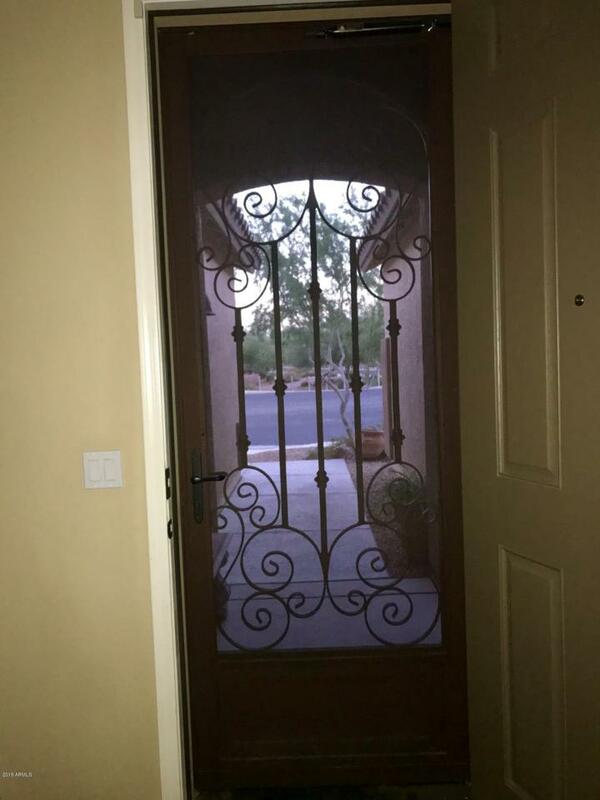 Pavers in back yard, trees for shade, plenty of storage inside and out.Must see all upgraded options on this home.East access to loop 303, close to Surprise Baseball Stadium, Aquatic Park, close to Lake Pleasant, yet still has a small town feel and still growing.